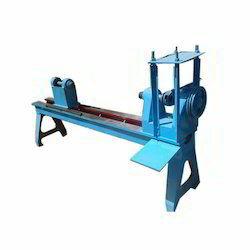 Such machines are able to spin blank steel (ST-37 quality) in plates up to 16 mm. thick and from 10 to 4000 mm. diameter. We also build either hydraulic-sensitive and automatic spinning lathes with Motion Control or CNC, with 1 or 2 slides, ready to work in cold an in hot. 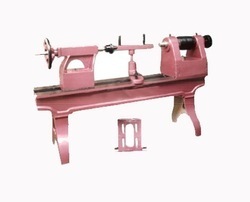 We are a manufacturer of spinning lathe machine, spinning lathes exporter, Ahmedabad, Gujarat, India. Spinning lathe machine manufacturer, spinning lathe supplier, spinning lathe machine wholesaler, spinning lathe machine exporter, Rajkot, Gujarat, India. Our modern infrastructure equipped with advanced equipment, helping us to provide the best quality range of Spinning Lathe.